England - CIRCA 2014: Leeds, UK city. 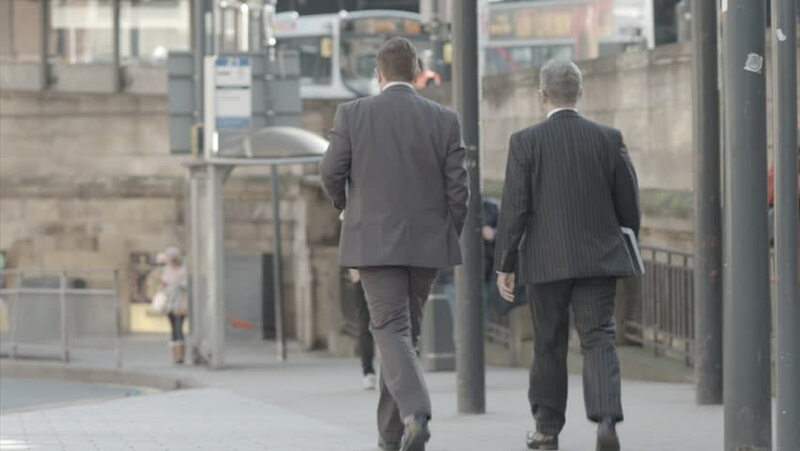 Two unrecognisable business men or commuters in suits with folders walk down the road talking near railway station. Could be any city in UK. hd00:06Styling, slim female with travel case entering railway station. Departure.